These giant paper flowers were made by Suzanne for her daughters baby shower. 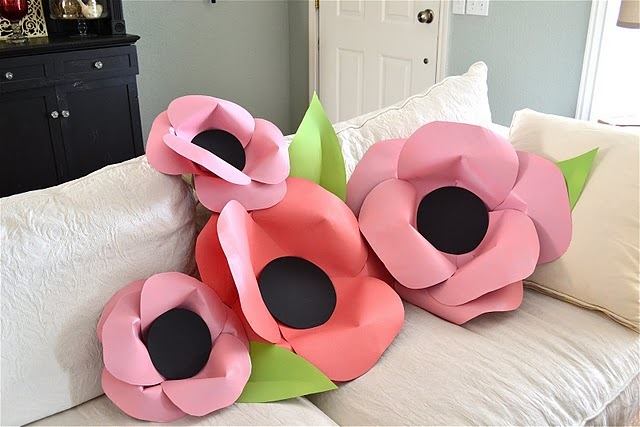 They are definitely the biggest paper flowers I have ever seen and they will be amazing shower decorations. You can see a tutorial for making ginormous paper flowers over at Meridian Road.